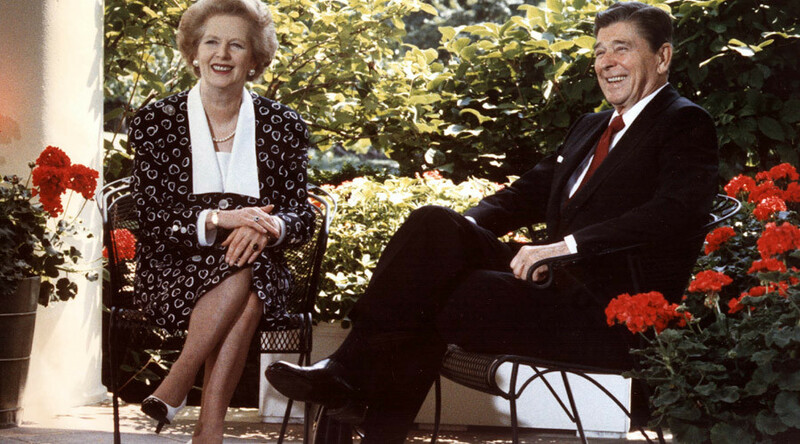 Declassified papers reveal US President Ronald Reagan urged Prime Minister Margaret Thatcher to read Tom Clancy to interpret Soviet Cold War strategy, and that a jar of moon dust, given by Richard Nixon, was left in a Downing Street cupboard for years. The files disclose a series of bizarre moments in the nations’ so-called ‘special relationship’ during the 1980s, when Cold War tensions flared between the West and Soviet Russia. RT picks the highlights of these newly declassified documents from The National Archives. Then-US President Reagan urged then-PM Thatcher to read ‘Red Storm Rising’ ahead of a summit in Reykjavík with the Soviet Union on nuclear disarmament. The fictional thriller by Tom Clancy imagines WWIII being fought with conventional weapons in Europe, the Atlantic Sea and even Iceland. “The president strongly recommended to the prime minister a new book by the author of Red October called (I think) Red Storm Rising,” Thatcher’s private secretary wrote at the time. Thatcher’s reaction is not recorded and it is not known whether the PM acted up upon Reagan’s recommendation. Four tiny specks of moon dust were discovered by a Thatcher aide in a Downing Street cupboard years after they were donated in 1970 by then-US President Richard Nixon to his British counterpart, Harold Wilson. The moon dust initially sparked a battle between British museums over who would display the artifacts, which were later described as “disappointing” by the Science Museum in London. They eventually returned to Downing Street in 1973, where they “languished for several years” in a cupboard during Edward Heath’s premiership. When Thatcher won power she suggested putting the dust in a display cabinet, but the idea was never acted upon. The documents also reveal astonishing detail on domestic affairs. One revelation concerning Scotland echoes many of today’s fractures in the union. Downing Street policy advisor David Willetts advised Thatcher to slash funding to “pampered” Scotland in order win favor with “envious” people in the North of England. Willetts, who later served as Science Minister in the 2010-2015 Conservative-Liberal Democrat coalition government, said in January 1986 that Scotland was “the only juicy target” for further cuts. “Your economic policies stop at the English border,” he said. “Ultimately, the question is a political one. The position of the Conservative Party in Scotland is so bad that it might not deteriorate any further. Willetts also sent a memorandum to Thatcher urging her to consider private healthcare instead of the publicly-run National Health Service (NHS). In discussing whether a private company should be brought in to run a psychiatric hospital, he explained: “The hospital is run cost-effectively. Only one in 20 patients gets a tray meal: the rest go to one canteen which is shared with the staff.